Generate, Manipulate and Save images without any image editor dependencies within Java-based applications. You can easily use Aspose.Imaging for Java directly from a Maven based project by adding following configurations to the pom.xml. Aspose.Imaging for Java is a flexible powerful API to process and manipulate images. API provides image processing tasks such as converting an image from one format to another, drawing native objects as well as GraphicsPaths and geometric transformations such as scaling, rotation and flipping. 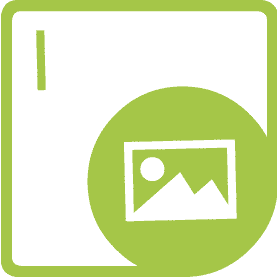 Furthermore, API supports to manipulate multiple image frames or to read and write file formats which support multiple image frames. Aspose.Imaging for Java provides a wide range of compression algorithms along with various image processing tasks as well as supports maximum file formats from raster-based graphical imaging. An overview of Aspose.Imaging for Java product. Aspose.Imaging for Java supports the JDK 1.6 and above. Aspose.Imaging for Java supports a wide range of conventional & special image formats. Along with rich set of image processing routines, Aspose.Imaging for Java also provides an array of advanced algorithms that makes it an all-in-one solution for image format conversion. 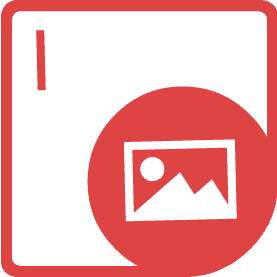 These algorithms are encapsulated in specialized classes that are simple to use and can export images to conventional raster image formats along with SVG, PSD, WMF, EMF, DjVu, DICOM, DNG & WebP formats. Aspose.Imaging for Java supports an advanced set of drawing features along with the core functionality. Developers can draw on the image surface either by manipulating the pixel information or by using the advanced functionality like graphics and paths. Aspose.Imaging for Java API enables you to easily draw lines, curves, rectangles & other geometric shapes, fill closed shapes with solid colors or gradients & textures, draw text with options for fine control over the font and draw images by loading existing image data. Another promising feature that Aspose.Imaging for Java API provides is to register custom image formats.  Aspose.Imaging for Java allows the developers to register new custom file formats to create, open or export to by using one of Aspose.Imaging for Java registry APIs for corresponding operation. This feature allows the addition of new file formats which can be used for drawing and export purposes. Grayscaling is the process of converting a continuous-tone image to an image with discontinues gray shades. With Aspose.Imaging, transforming any image to its grayscale representation is as simple as calling a single method on the supplied RasterImage. Aspose.Imaging provides extensive support for TIFF file format including the feature of data recovery, using which the developers can extract the data from a broken TIFF image with some loss. The data recovery allows loading a TIFF file that has improper data layout or corrupted data strips. Data recovery replaces the corrupted data with any color, and the resultant image can be further processed without experiencing errors.